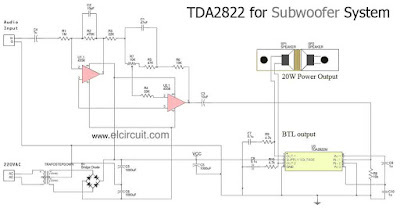 TDA2822 Subwoofer on circuit diagram above has mono output power about 20W (bridge output), it is small output power for subwoofer system. you can use small speaker size for using this amplifier. 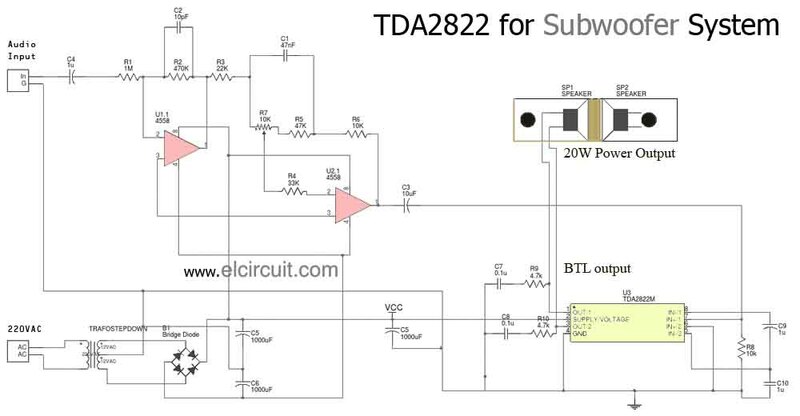 Has anybody noticed an error in this schematic ?